We have adopted many dogs out over the years and look forward to many more!! Carmen LOVES her forever home! She has so many brothers and sisters, shes never missing a playmate! What a happy girl! Darling Lilly found her forever home with an amazing family in Portland! They love her to pieces and she loves them!! Yay for Lily! Meekah found her forever home with her foster home! It is so wonderful how it can work out like that! We are SO stoked for Meekah!! Milo has an absolutely fantastic home! He gets to go to work with his people every day and they even have a doggy daycare that takes him twice a week to play at a park! We just couldn't ask for a better home! Yay for Milo!! Little Shasta found her forever home with an amazing family in Portland! They are excited to help volunteer with us as well as learn and grow with their new little bundle of joy. 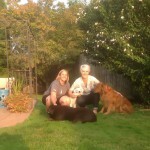 We are so excited to welcome them into the Deaf Dogs of Oregon family!! Wyatt LOVES his new home up in Washington! 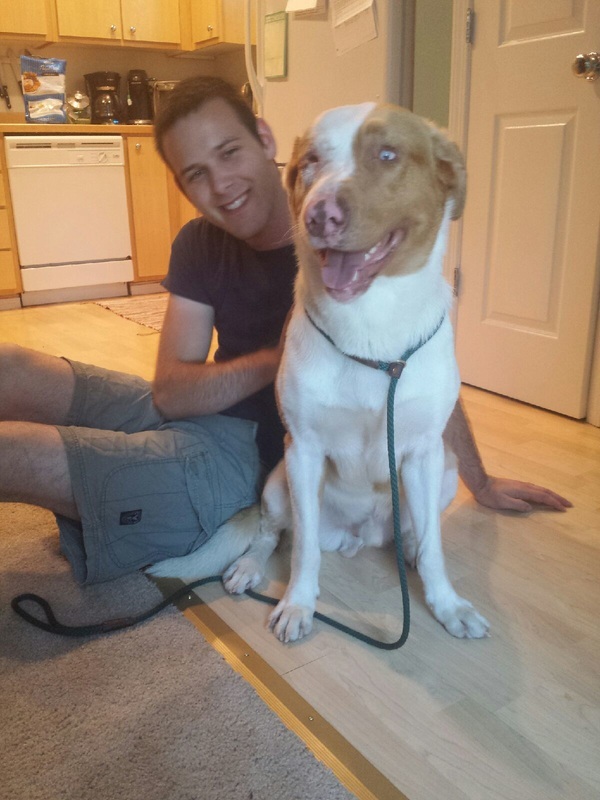 His new owner is very excited to work with the little smarty pants and make Wyatt the best dog he can be! YAY Wyatt!! Calvin has an amazing family who are excited to train him. He is WAY to smart for his own good, but that just makes training him all the more fun! He loves his sister and gets to go on walks and have fun all the time! Yay for Calvin!! Otis found an amazing home!! Here he is with his new sister Trudy. 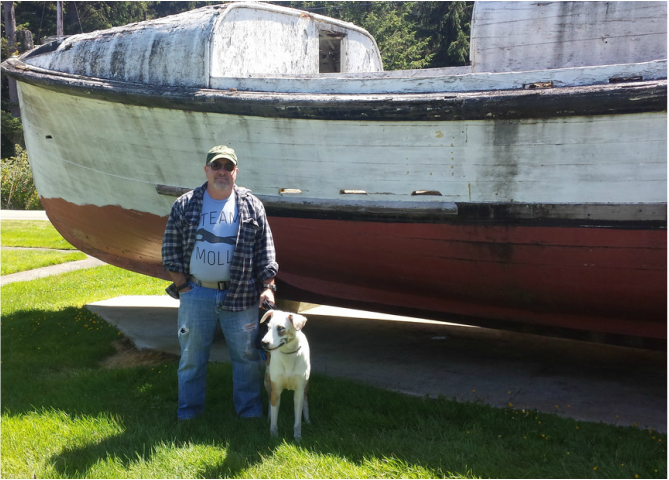 He gets to do on tons of exploration missions with her all over Idaho! He even gets to live in England for awhile, what a lucky pup!!! Cooper was recently adopted by our amazing and devoted volunteer, Breanna! Breanna is excited to train and work with Cooper, to help him become the happy and confident dog that he is destined to be! Breanna has even taken Cooper to "doggie massages," as you can see here in the photo. The massages help to calm and relax him. 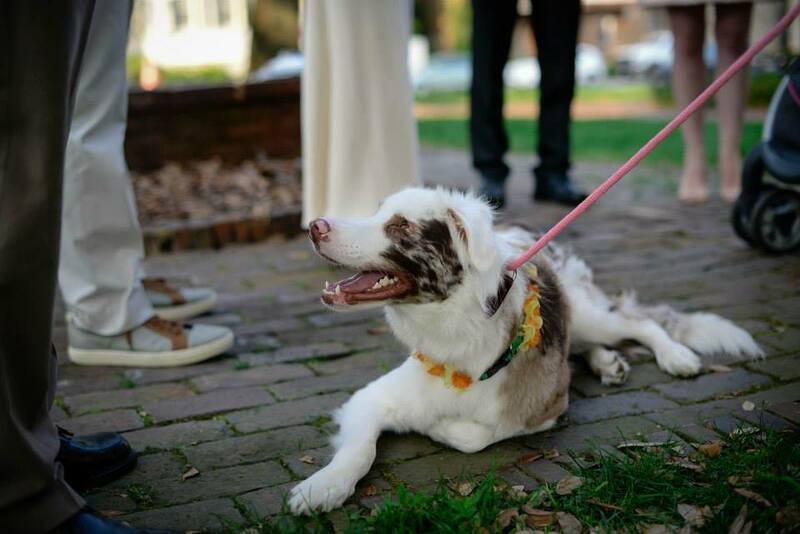 Blitzen was adopted as a tiny puppy a few years ago, but boy he has blossomed into quite the handsome guy! He loves everyone and everything he meets. He loves his sister and follows her for cues, except when they are out patrolling the 10 acres they live on. All his people have to do is vibrate his collar and he comes running before his hearing sister! Jester found an amazing home with a fantastic family! They are very excited to train him and love him forever! 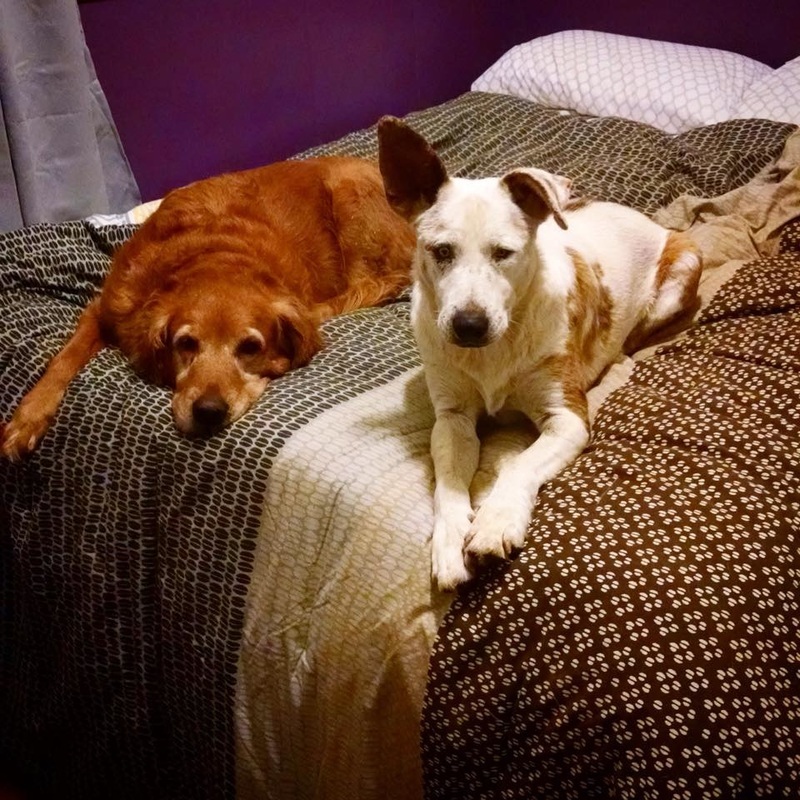 Mavis is one happy pooch living on a farm in Washington with her deaf sibling. What a lucky pup!! Butter is incredibly happy in her home! She is so lucky to have found such an amazing dedicated forever home! 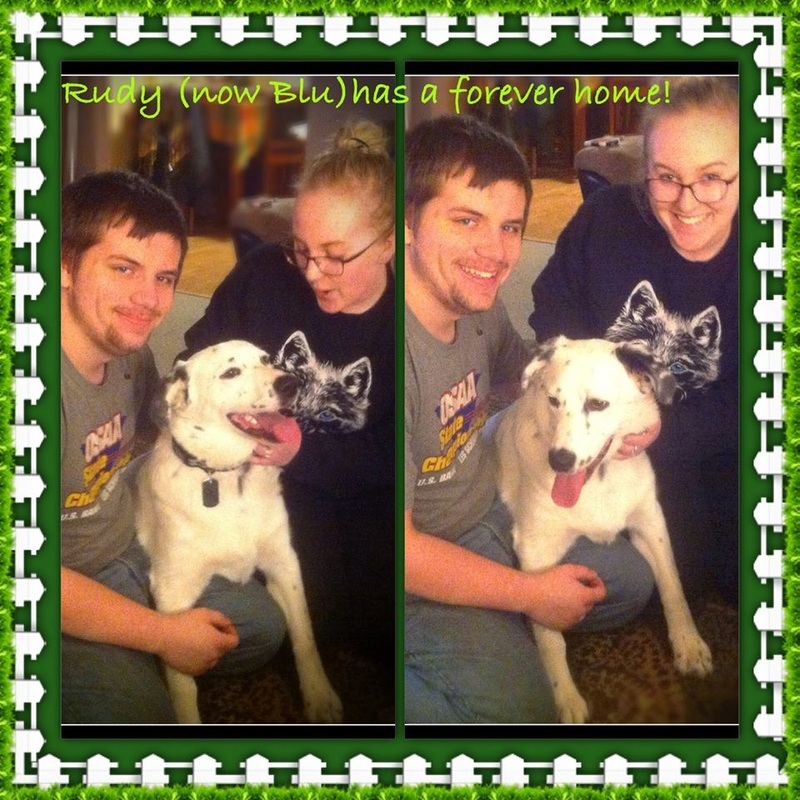 Blu found an amazing home with two wonderful people who love him to bits. He is one lucky pup!! Lilly (aka Angel) was found in Arizona with her sister, Butter (who is completely deaf and blind) living in a goat pen, neglected. A wonderful woman saved them and they were temporarily fostered in CO, at which time Lilly found her forever home. Jupiter was rescued from a hoarder’s house in California. We were contacted to take him into our rescue because the rescuing shelter was running out of room. Jupiter was only about a year and a half when he came to us and a mixture of who knows what as he was the product of being bred in a hoarding situation. You could see some sharpei in those ears and the extra skin around his muzzle, maybe some australian shepherd, some chow and who knows what else. But this boy was one of the sweetest, if not the sweetest, dog we’ve had in our rescue so far. Amazing considering his background. 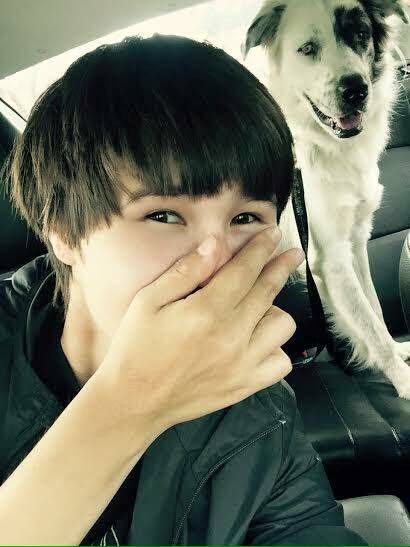 He was adopted by a wonderful family who adores him. Bella came to us from Washington state after being bumped from a shelter when it became too crowded. We knew she wouldn’t be with us for long because she is so darn cute! She is a mixture of Great Dane and Dalmation, maybe some Lab in there too. 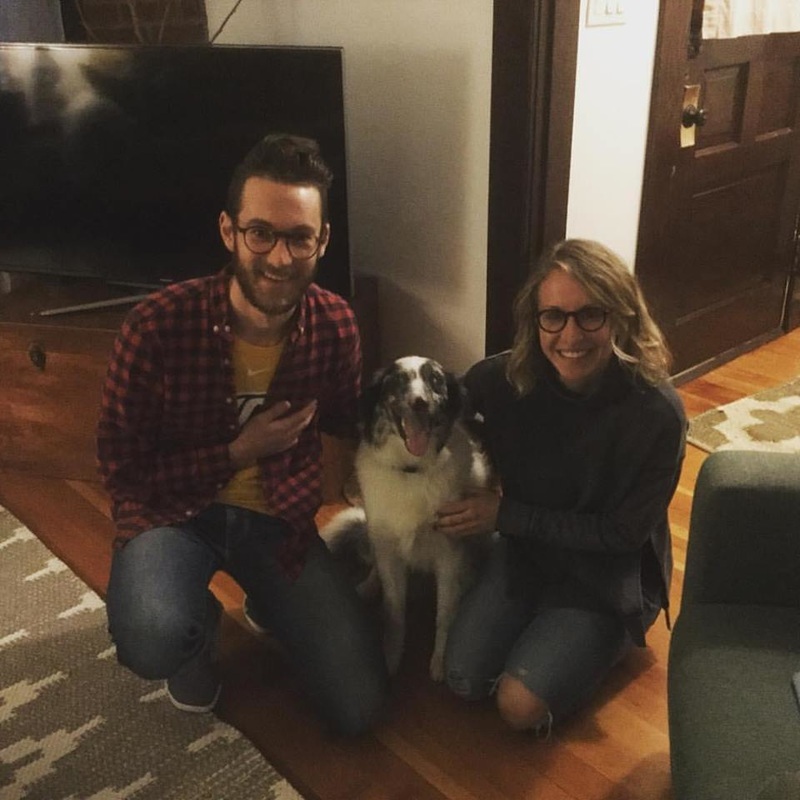 Less than 24 hours after being listed on Petfinder, she was adopted by a wonderful couple as their third dog. She loves her new brother and sister! 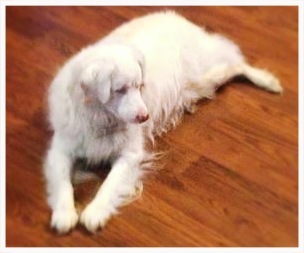 Duncan came to Deaf Dogs of Oregon from a family that could no longer keep him. 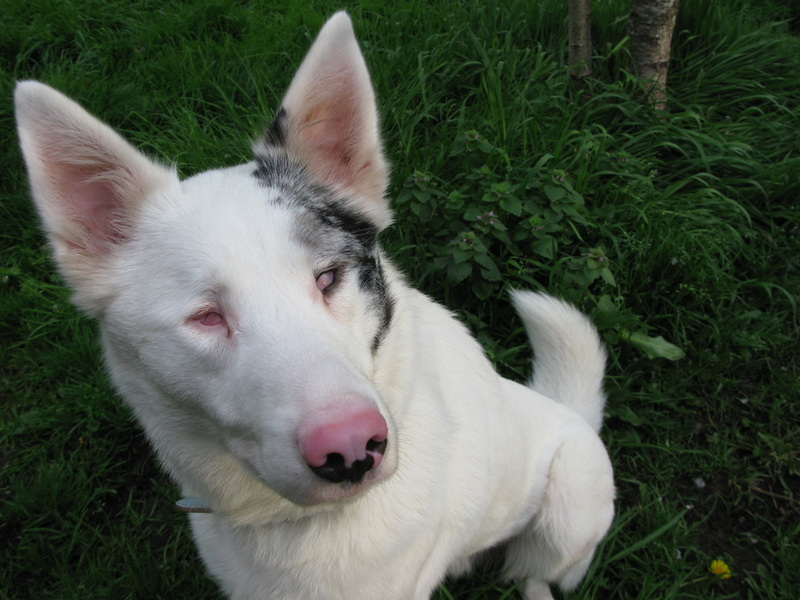 In spite of Duncan’s double disability (he is both deaf and blind) he has a fun loving personality and loves people and other dogs. In his current home, he is learning touch signals and responds very well. Everyone loves Duncan, especially his brother and sister. 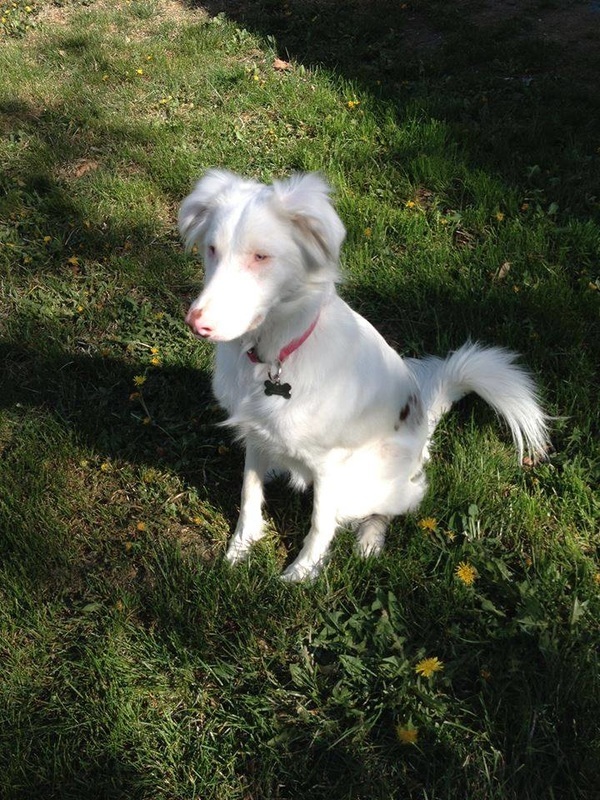 Beatrix was adopted by one of the trainers here at Deaf Dogs of Oregon. She has grown tremendously and is a joy for her family to be with every day! Kelso was adopted in 2013! He is in a most loving home with a giant backyard and tons of doggy friends! His family loves him to bits! UPDATE: Tigger is doing fantastically! He is still so happy in his home, and they love him more and more every day! UPDATE: Kate is continuing to thrive. She loves her home and her sister!! Odie is greatly beloved by his wonderful Mom. She even had this amazing oil painting done of him! He is one special pup! Daisy Grey has an amazing home with a wonderful Mom! She gets tons of attention and exercise every day to keep her at ease. She is still as sweet as ever!! Stryder is doing incredibly well and has quite the adventurous life! He gets to do tons of fun stuff with his family. We are lucky we get to see him at meetups all the time. Look at that smile! Clack found a fantastic home with an amazing family! Klondike had the great fortune of landing an amazing home. He is still as sweet and sassy as ever! Adelaide found a wonderful home in WA with a very dedicated family. She sure is a lucky pup! UPDATE: Adelaide is continuing to thrive!! Isnt she beautiful? All grown up! 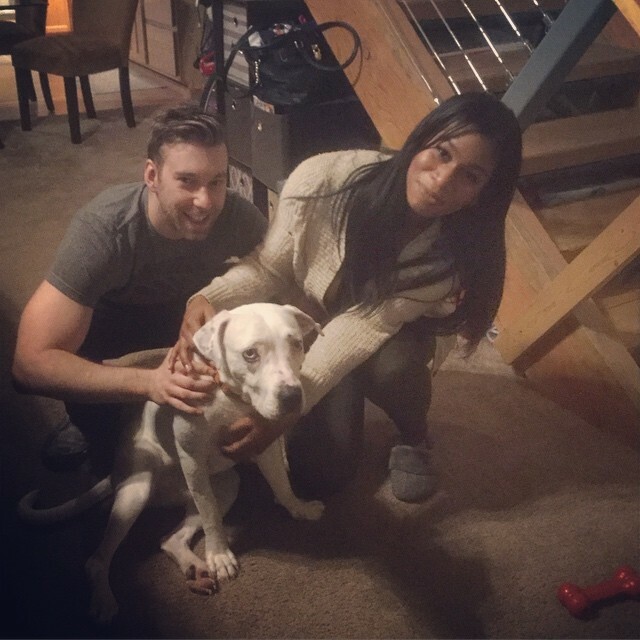 Jolene found an amazing home with the most dedicated person! She even has doggy brothers and sisters to play with. Augustus (Gus) is an amazing home! He's even become a bit of a celebrity in his neighborhood. He is a very lucky pup! UPDATE: Gus is continuing to thrive in his forever home!! Isn't he handsome? Sir Winston is also very well known his in his neighborhood, he has tons of doggy friends and a very dedicated Mom. Thurston found a fantastic home! He is a very happy camper with his amazing family! April is thriving in her new home! She loves her family so much and they love her back. She even has a doggy brother she gets to play with! Pi LOVES his new family. He has a human sister he gets to love and cuddle with. He goes hiking with his family often and loves it! Lulu has a wonderful family who gives her lots of attention and exercise! She is greatly loved!